Diaspora is a "an open source personal web service that will put individuals in control of their data." The project was initiated by 4 New York University students around 6 months ago when Facebook privacy related fears were at its peak. And finally they have reached a stage where they will be starting to send out private alpha invites for Diaspora. Visit joindiaspora.com and sign up to get early invitations. Diaspora team has made it clear that, they are in no hurry to roll out the service and through these initial private invites, they hopes to "quickly identify performance problems and iterate on features as quickly as possible." 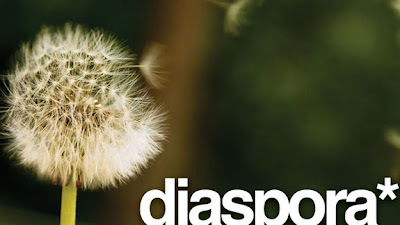 "Diaspora lets you create 'aspects,' which are personal lists that let you group people according to the roles they play in your life. We think that aspects are a straightforward, simple and lightweight way to make it really clear who is receiving your posts and who you are receiving posts from. It isn’t perfect, but the best way to improve is to get it into your hands and listen closely to your response." It was reported elsewhere that, Mark Zuckerberg himself has donated to Diaspora project. When he was asked what he thought of Diaspora, the anti-Facebook project which came about as a brainchild of four NYU students, Zuckerberg’s response was this - "I donated. I think it is a cool idea."